Yes, I did say storage arms. 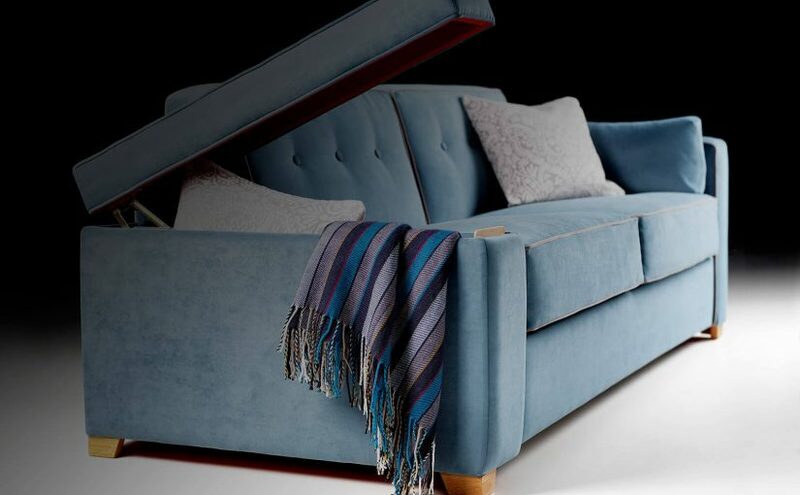 Did you even know that sofa beds with storage arms was a thing? No we didn’t either at first. And that is exactly why we now have sofa beds that can come with handy storage arms. But why would you want them on your sofa bed? Our sofa beds are designed for everyday use. So lots of our customers do actually use them every day as sofas and every night as beds. The easy to use mechanism swiftly folds in and out. So you can put the bed away in a matter of seconds. The sheet can remain on the mattress, but the bedding and pillows do need to be stored elsewhere. Now our guess is that you need to sleep on a sofa bed every night of the week to create more space. Perhaps you’ve given the kids the bedroom. Or maybe you just want to make the most of the space you have. So we are guessing you don’t really want big storage units, or perhaps can’t fit big storage units for your sofa bed bedding. And this is exactly where the storage arm options come in. They may not look big enough, but one arm can actually hold 4 pillows, and that means that the other is free for the duvet. Lower tog, feather duvets are best to use as they squish down nicely into the arm. But all the bedding fits and this is exactly the reason we have sofa beds with storage arms. 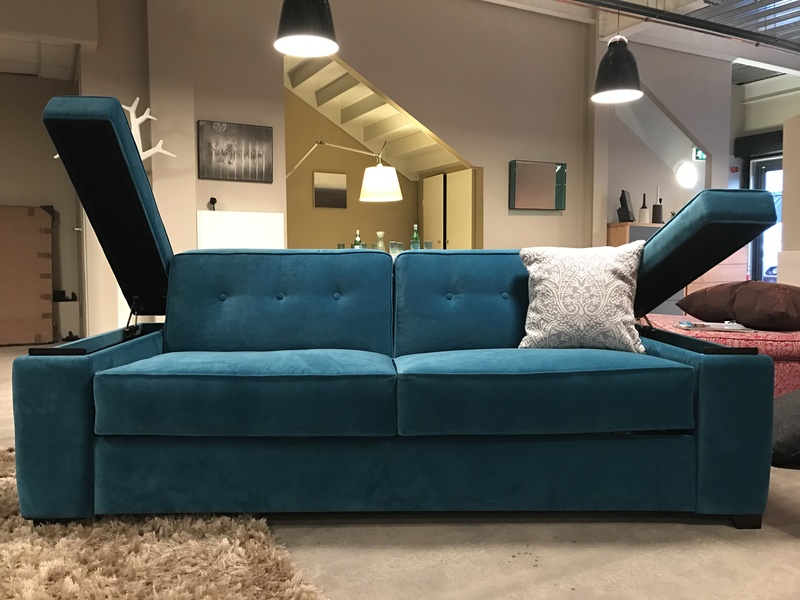 So you can store everything you need for the sofa bed, within the sofa bed. 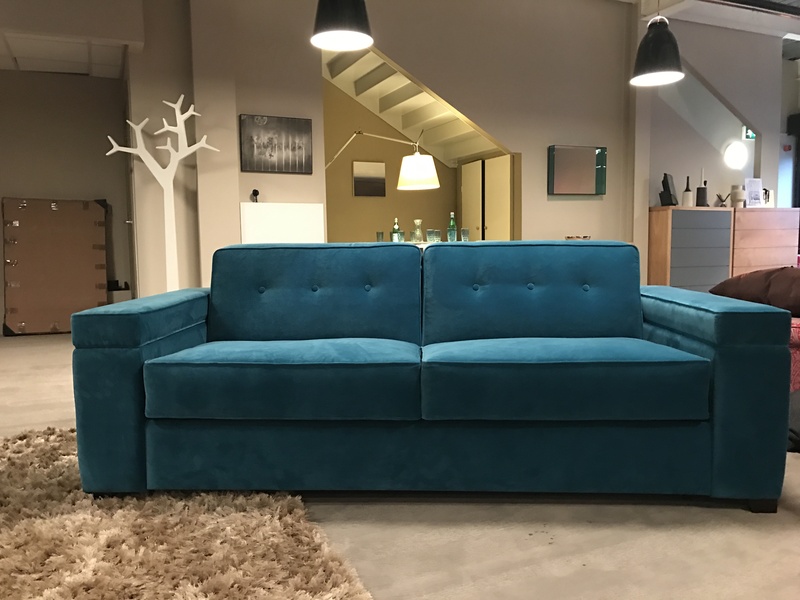 If you want to do more research on sofa beds, you can check out this link here. Both our Duette (the model I actually have in my living room) and London models can come with storage arms. They do take up a little more space, but a lot less space than an extra cupboard that’s for sure.